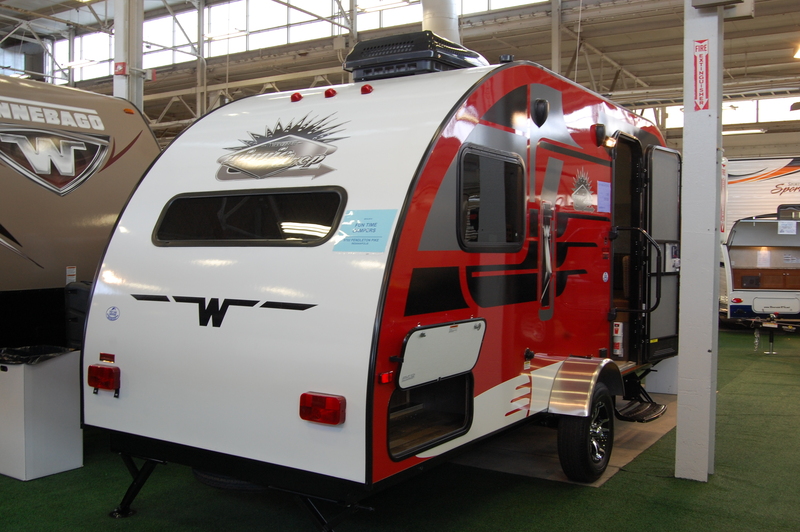 Back in May, I told you of a special edition version of the White Water Retro 177 that was scheduled to hit the dealer lots in June. 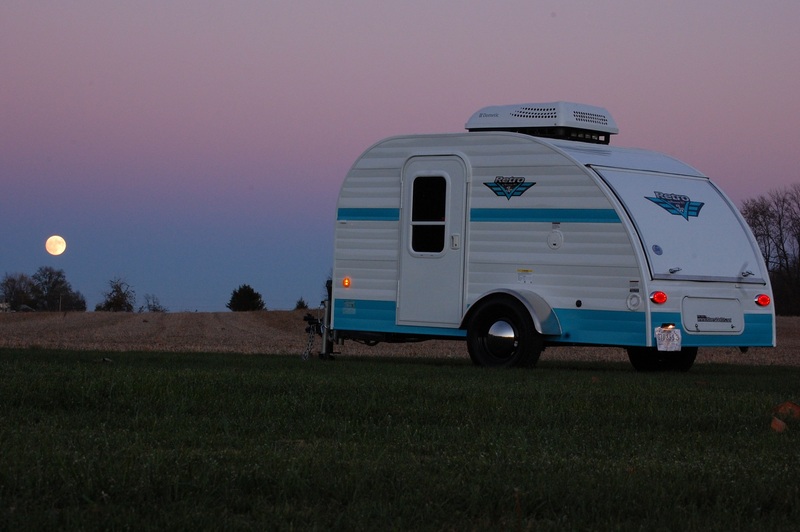 Through the summer, production of the 177SE has been brisk, and as of October, they’re still being produced. 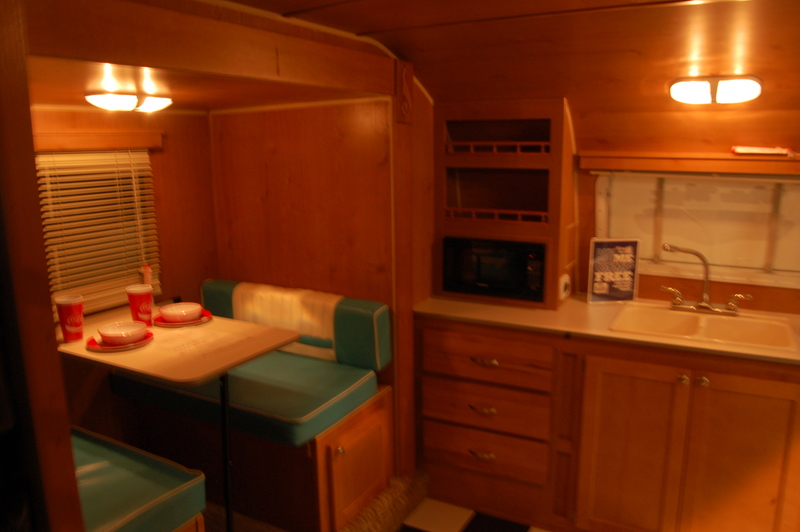 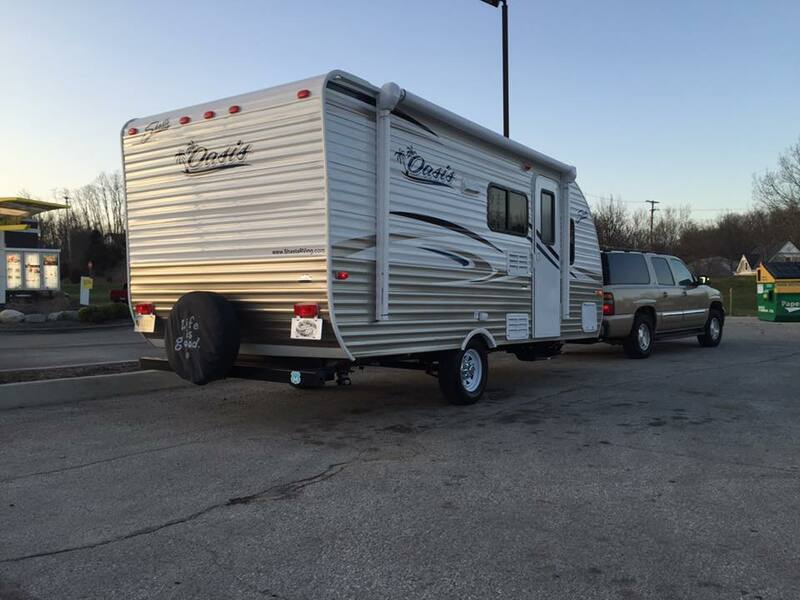 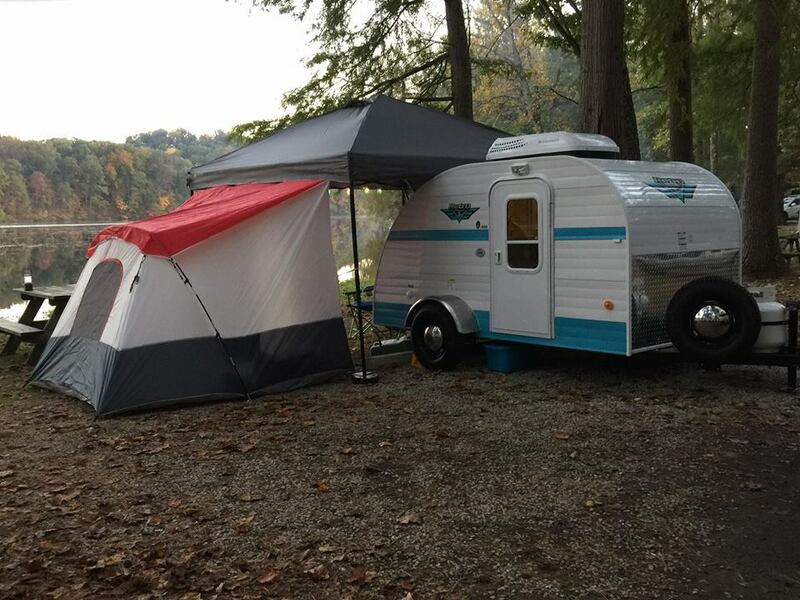 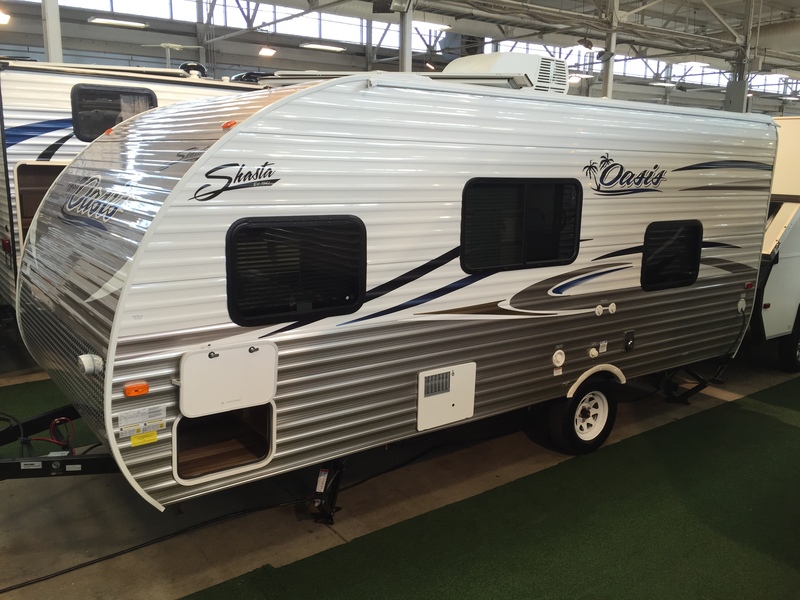 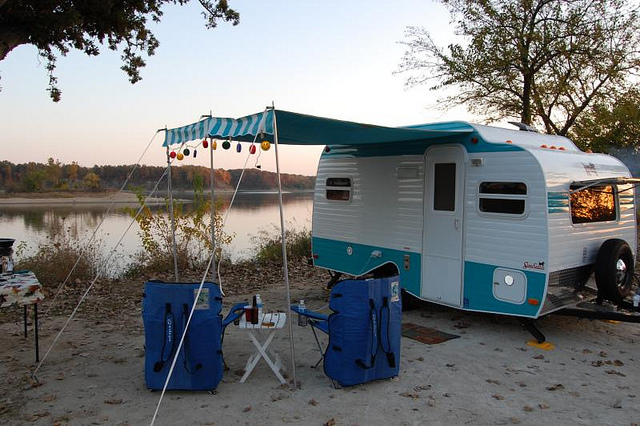 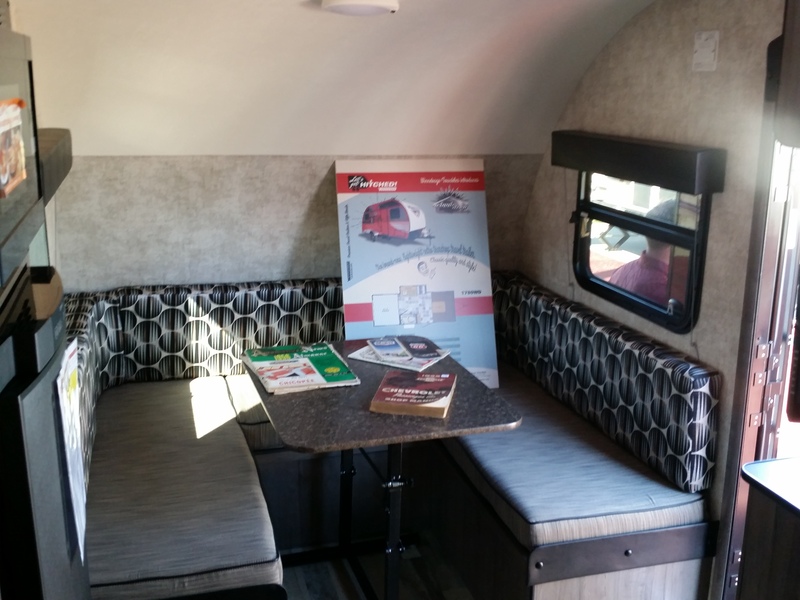 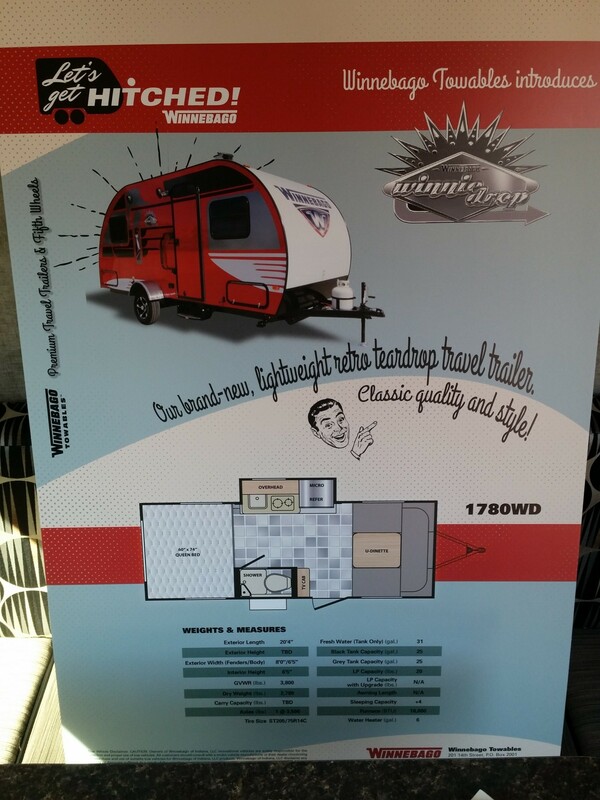 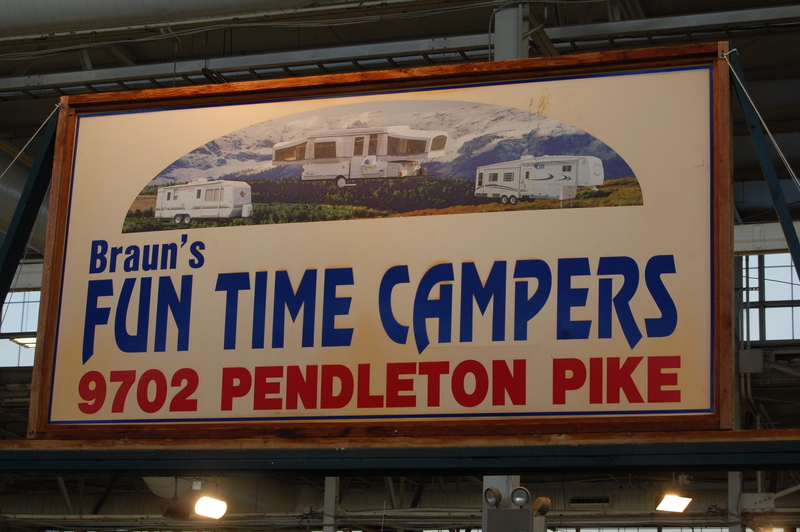 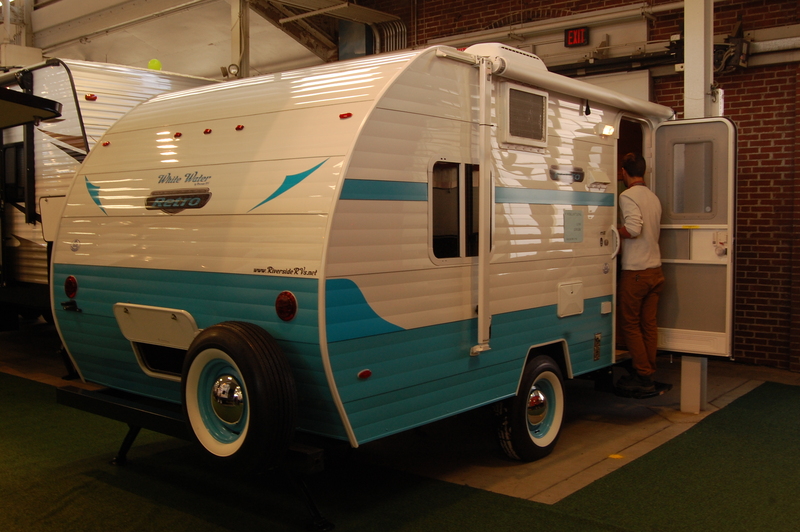 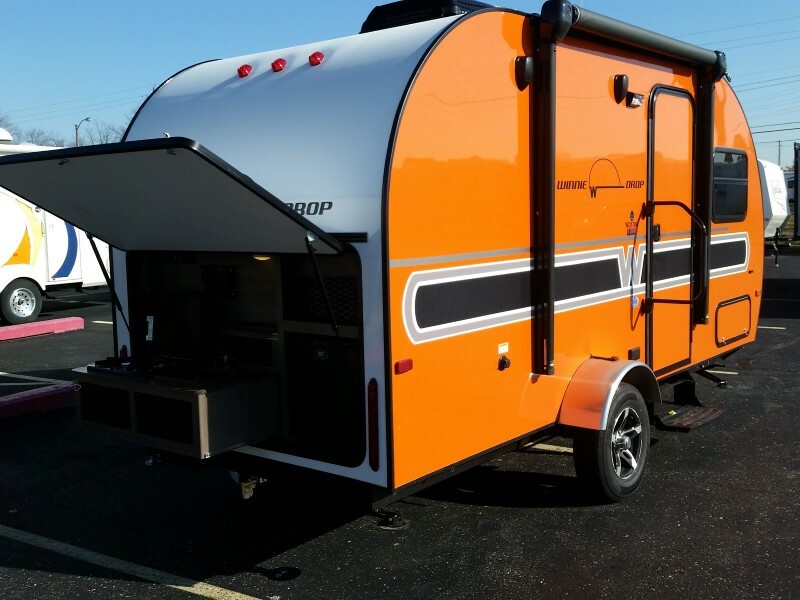 This past weekend I had the opportunity to get a firsthand tour of a 177SE, courtesy of the fine folks at Braun’s Fun Time Campers, an Indianapolis White Water Retro dealer. 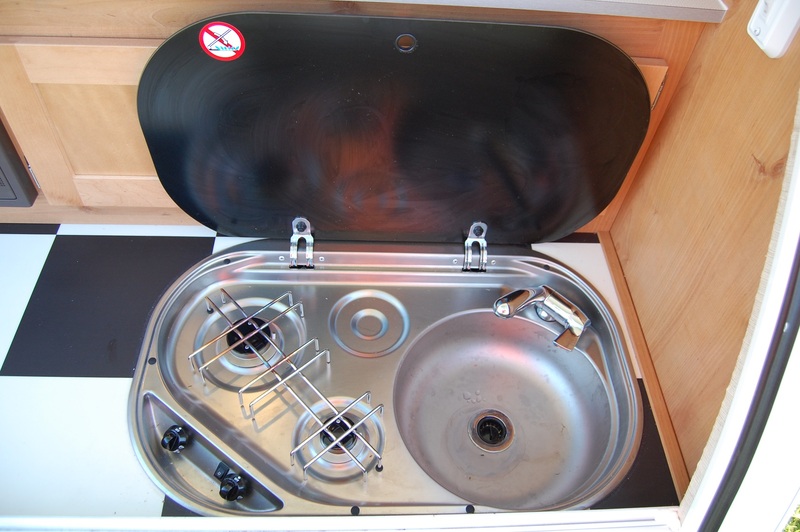 Since I first became aware of White Water back in 2011, I’ve paid close attention to the quality of the units, as I’ve gone on record in the past how disappointing some of the craftsmanship was early on. 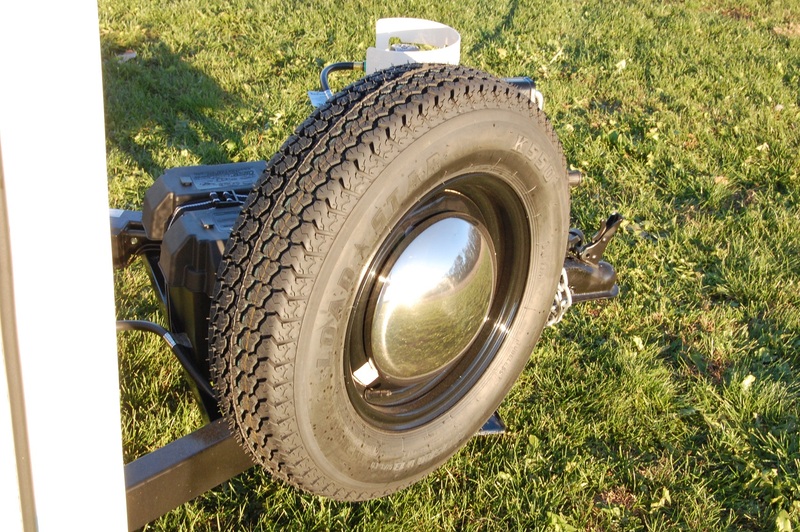 However I began noticing great improvements in quality around 2013 and it’s been getting better ever since. 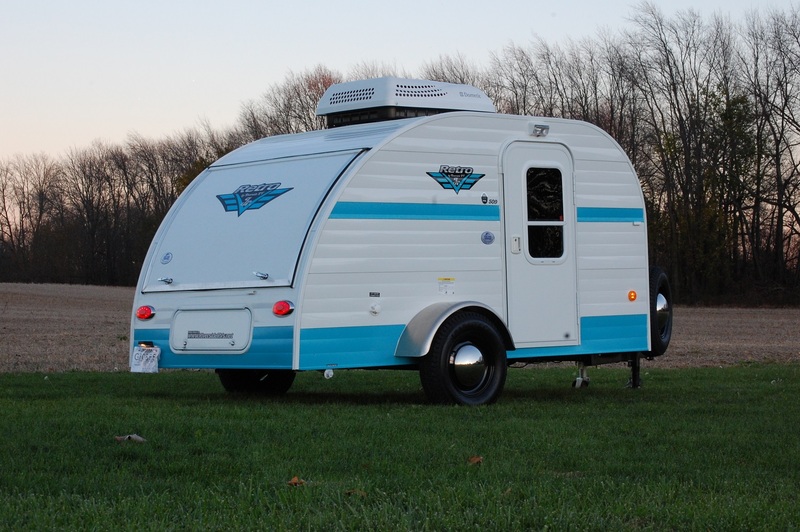 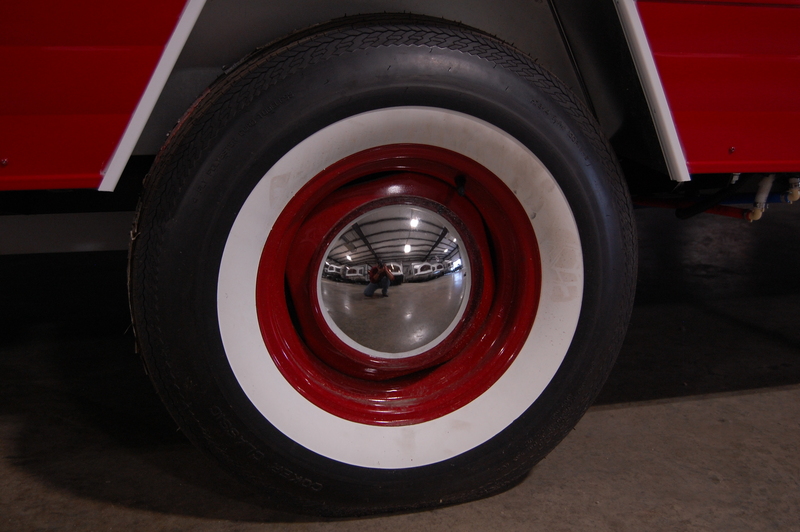 The 177SE has some pop to it with the baby moon hubcaps and Coker whitewall tires. 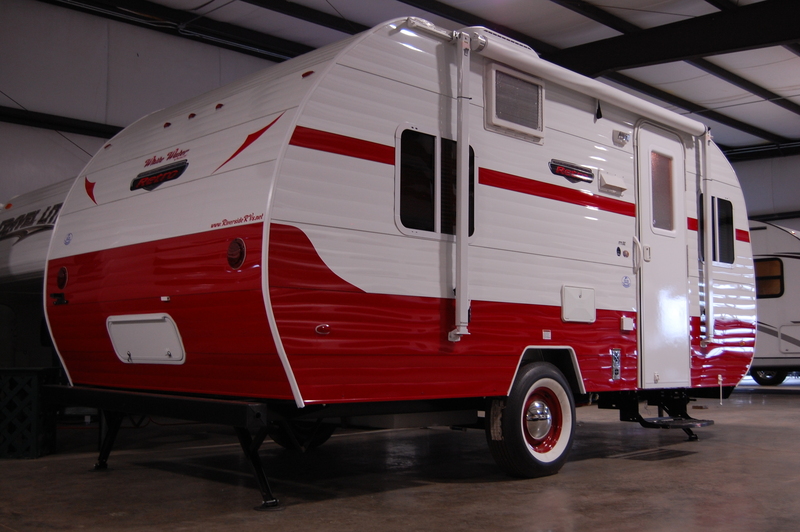 The paint schemes you can get on the 177SE are many, but I’m fond of both the red on white and the turquoise on white, both of which Fun Time Campers had on their lot that day. 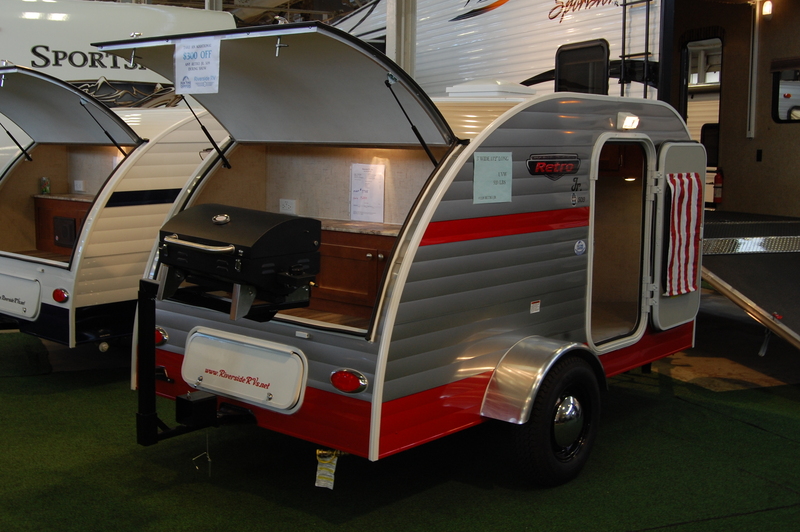 From a construction standpoint, all indications show the Retro is a well built unit, starting with an aluminum frame sitting on a 3500 lbs axle. 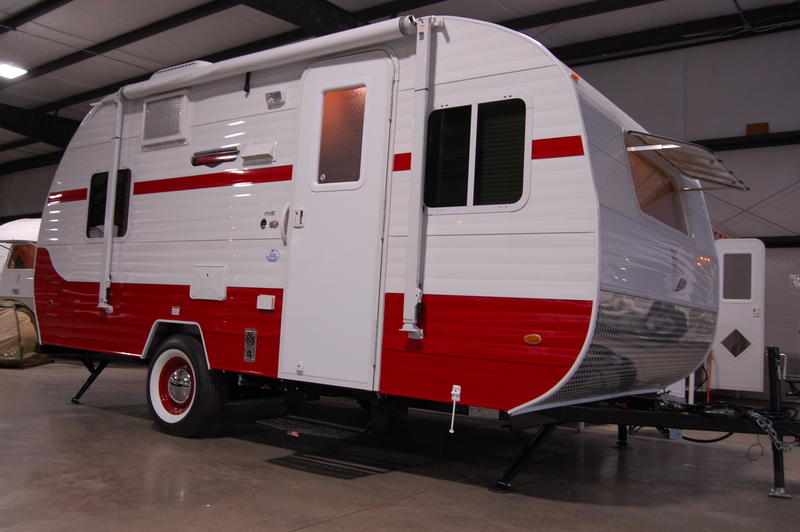 The dry weight is around 2600 lbs and length is 18’6″. 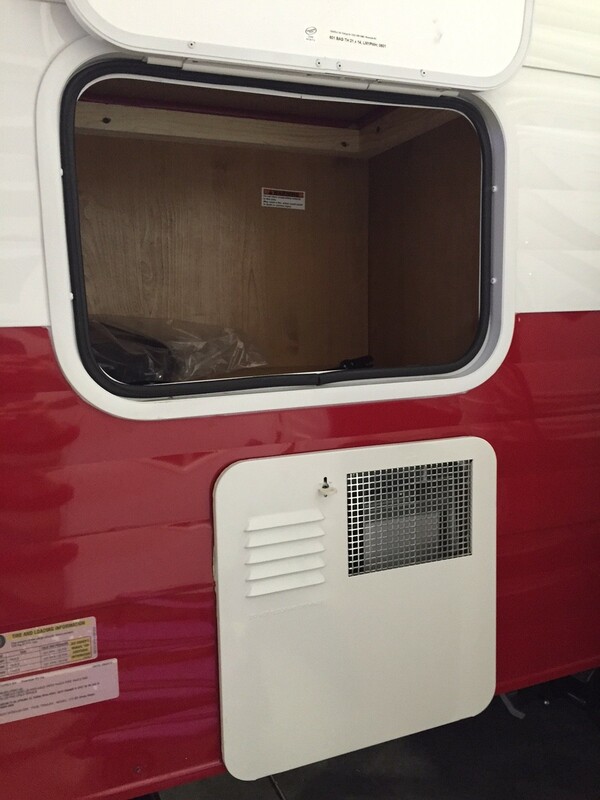 There are two exterior storage hatches, one on the front street side that is accessible from inside, and one hatch in the rear. 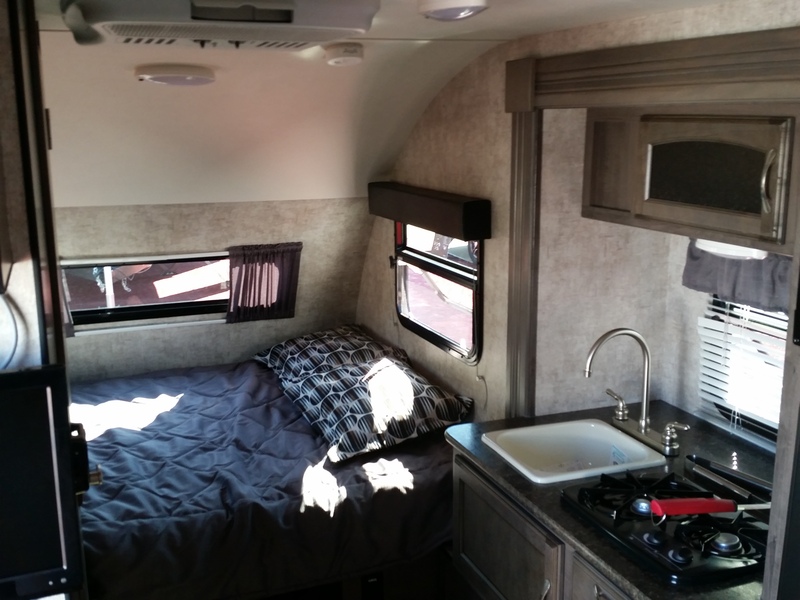 The interior of the 177SE is well laid out. 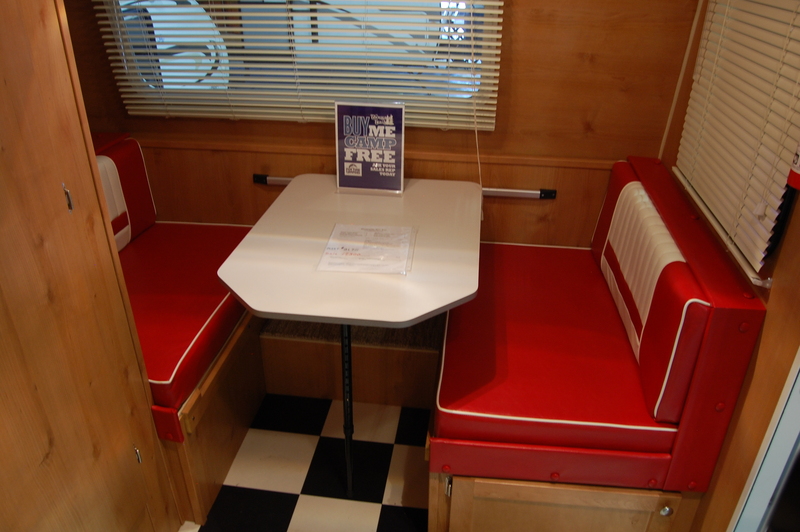 Up front there’s a dinette with sliding table that has storage underneath the booth. 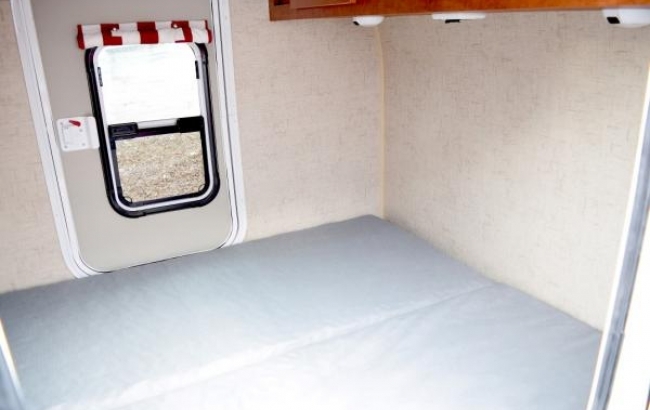 It also converts to a bed for increased sleeping capacity. 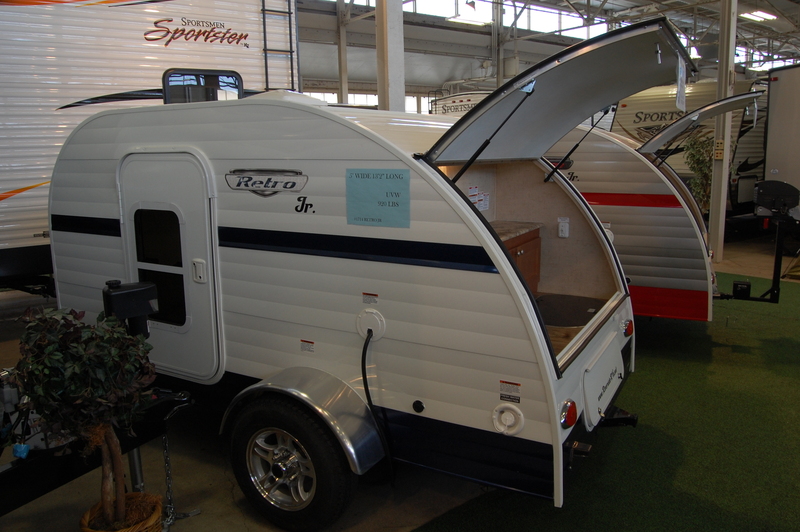 As wet baths go, the size of the 177SE’s is larger than most that I’ve seen. 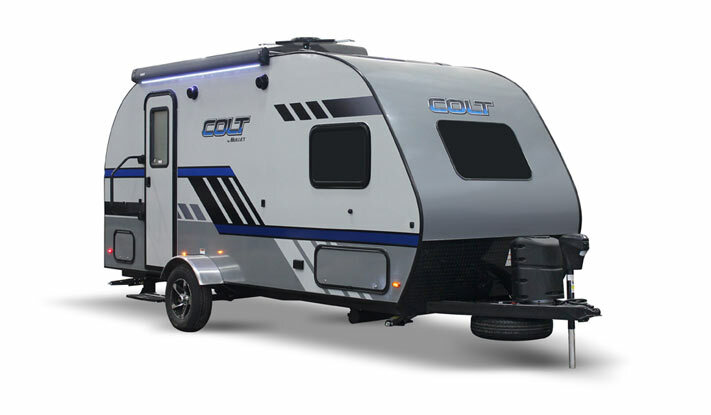 Comparing it to the Scotty I used to have, it’s probably about 1/3 larger, and should be more than adequate, as long as you understand a wet bath isn’t going to give you the size as a regular RV bathroom. 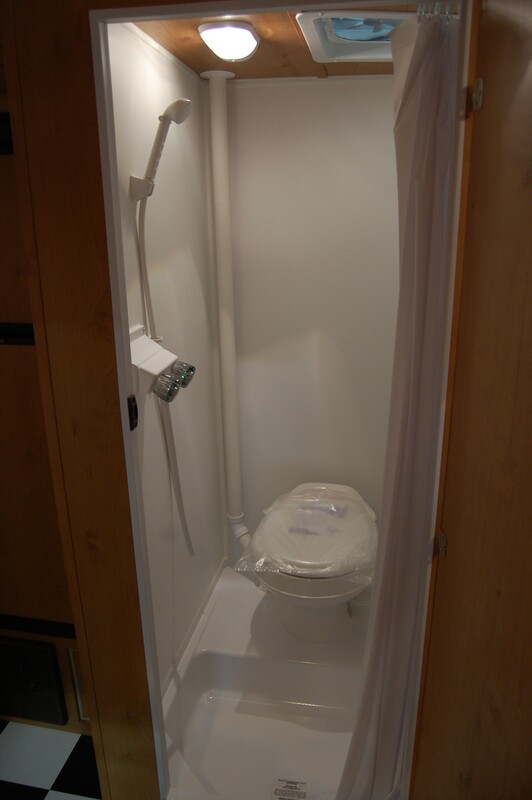 Next to the wet bath is a 6 cubic foot refrigerator/freezer that runs on electric or propane. 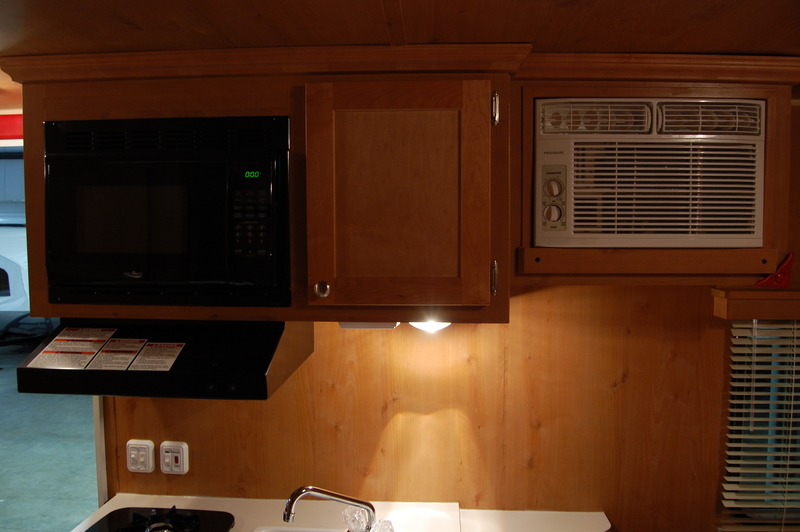 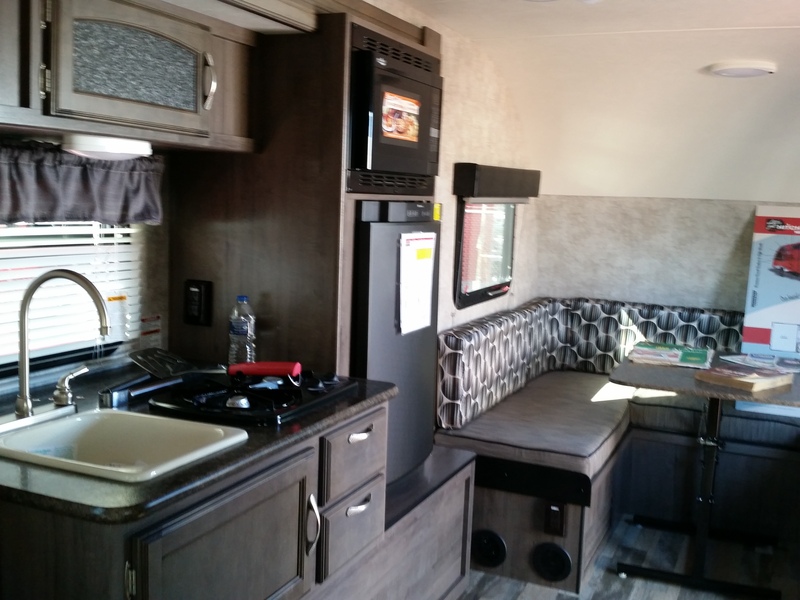 Across from the wet bath and refrigerator is the kitchenette, which includes a 2-burner stove, overhead microwave, sink, range, 3 drawers, 2 cabinets, and a wall mounted air conditioner. 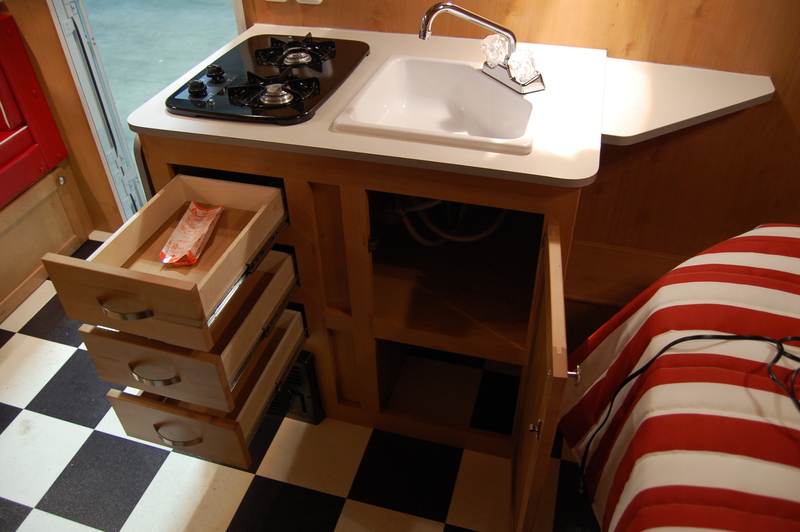 To aid with extra counter space, a flip-up counter top extension on the side next to the stove. 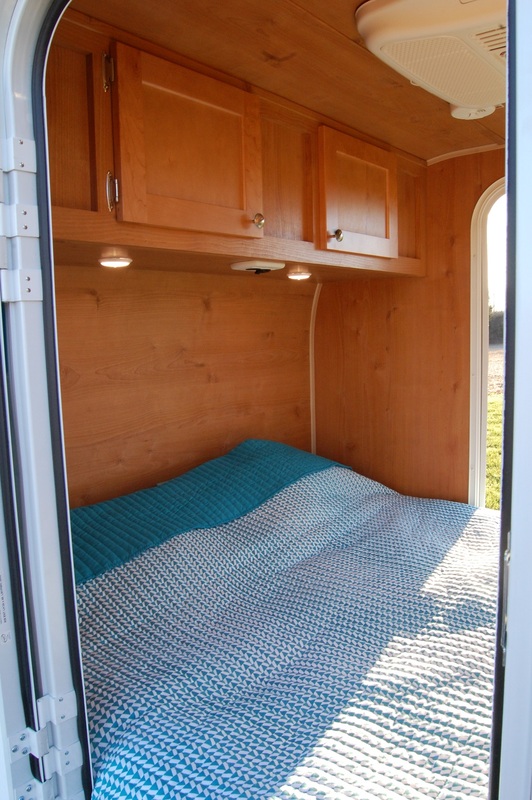 The rear walk around island bed measures 60″ x 74″. 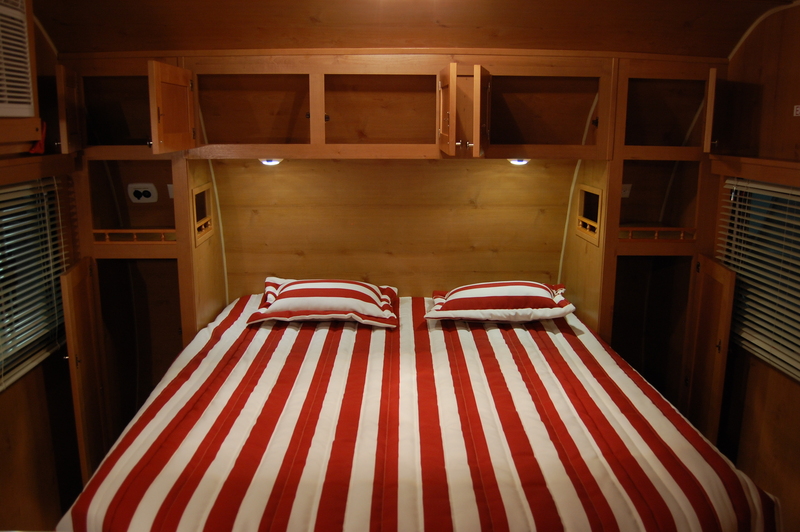 There is plenty of storage around the bed with two wardrobes and 5 overhead cabinet doors, as well as storage underneath the bed as well. 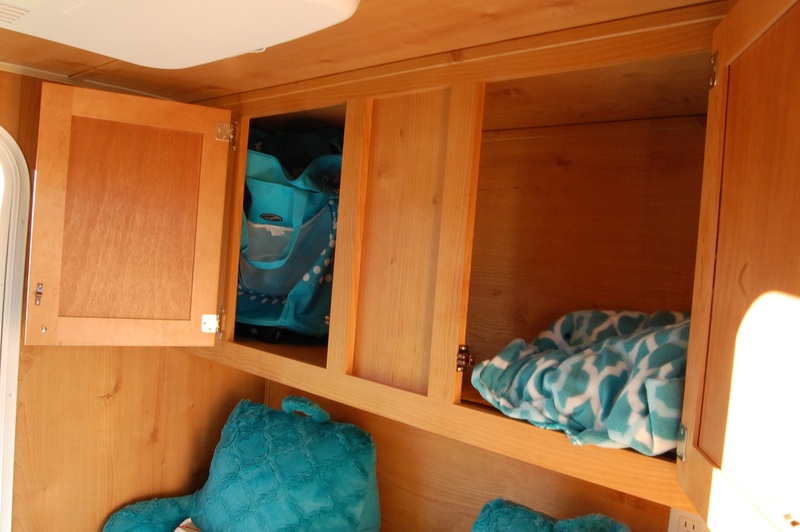 Atop the wardrobes are shelves for smaller items. 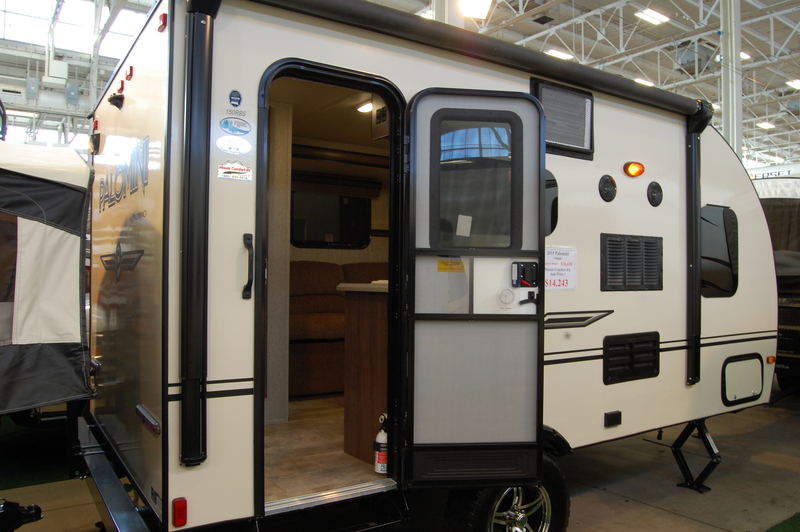 Both sides have 110 electrical outlets and one side also has a combination USB and 12 volt charging outlet. 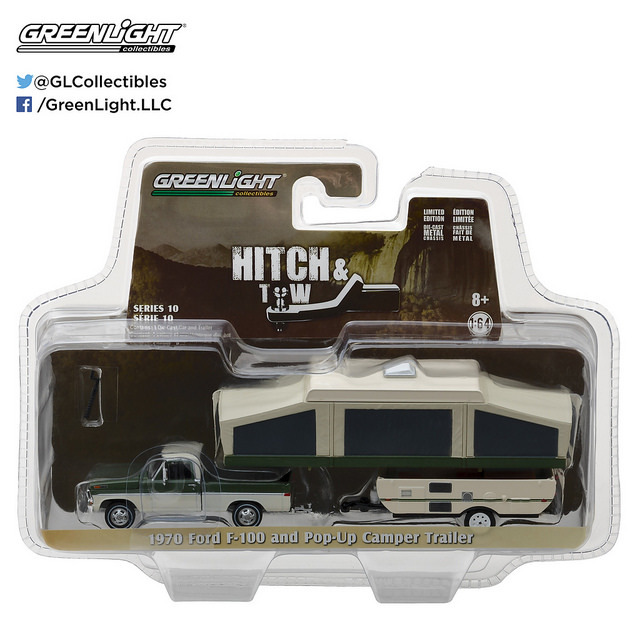 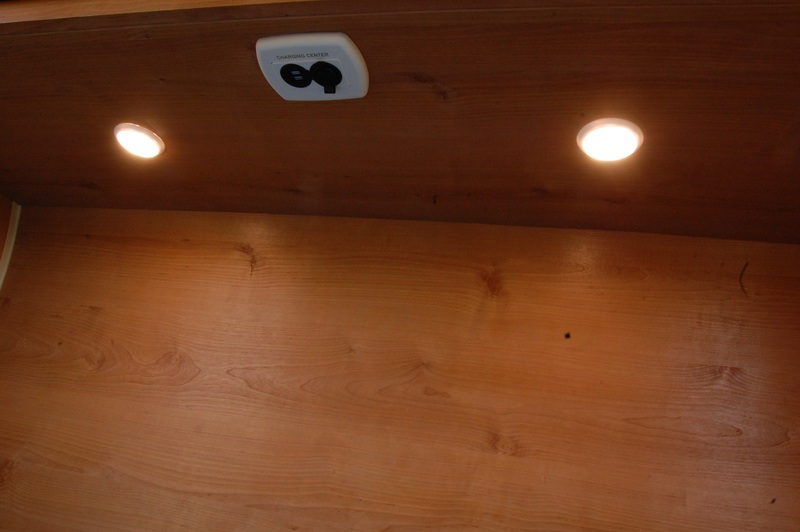 There are also two LED reading lights overhead with each having its own on/off switch. 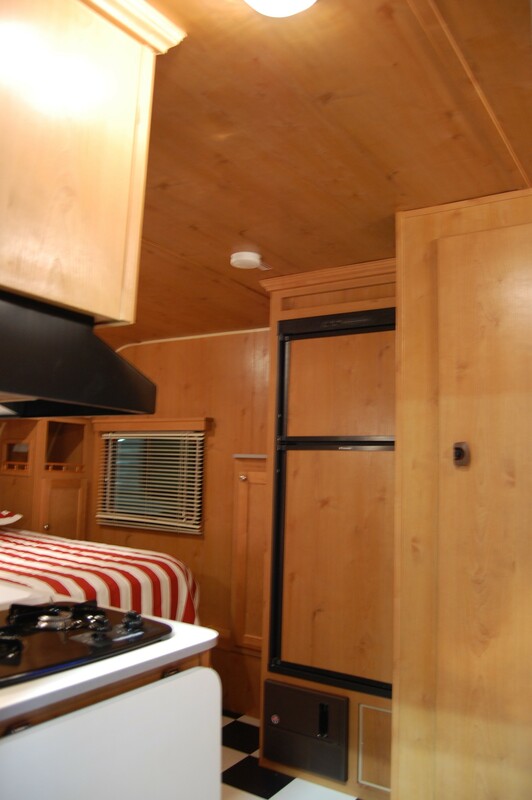 What really sets off the interior is the birch wood that is along not only the walls, but up on the ceiling as well. 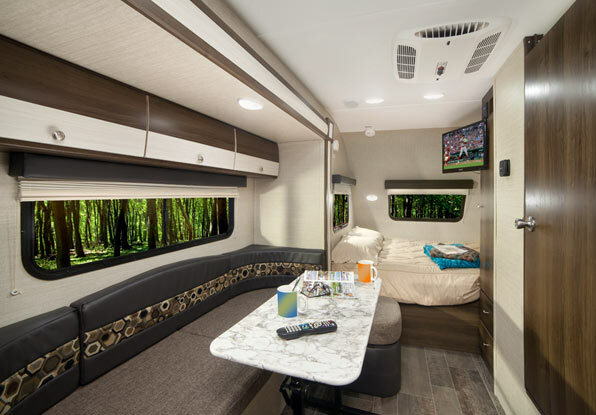 That along with the black & white checkered floor and 1950’s era design on the dinette cushions completes what is a really well thought out interior that complements the exterior quite well. 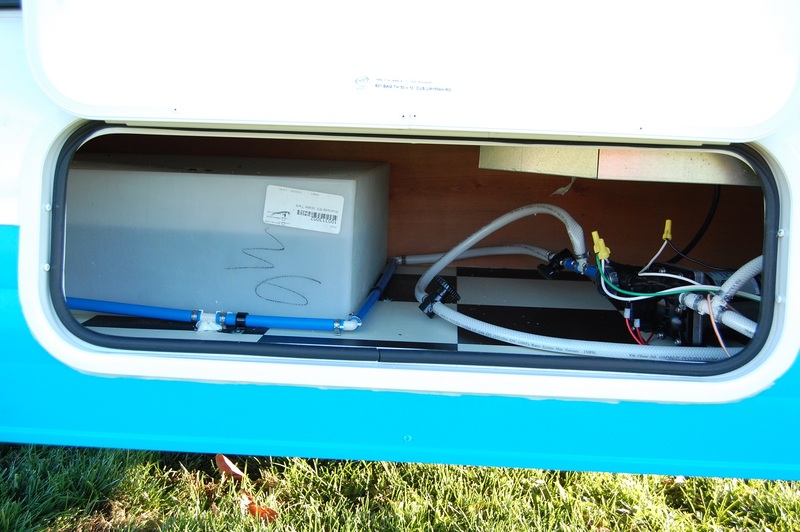 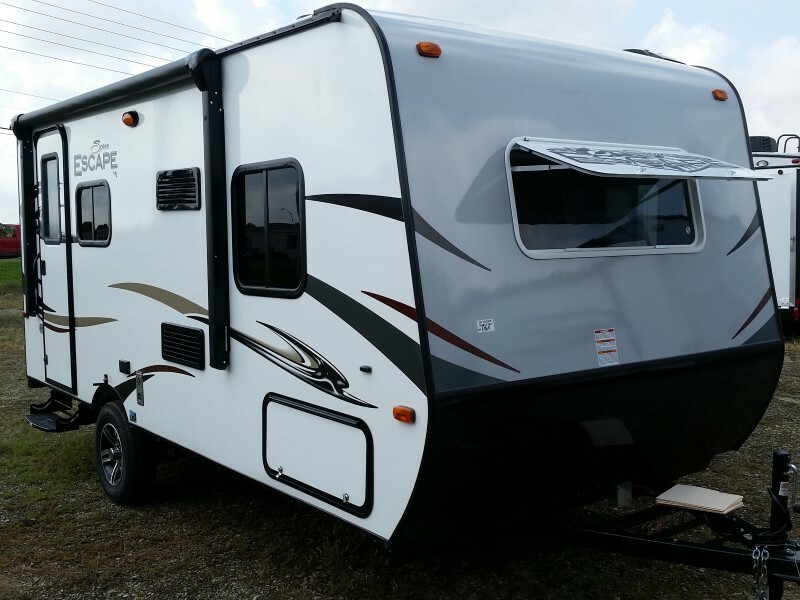 Other key features of the 177SE include a 20 gallon fresh water tank, a 32 gallon gray water tank, a 10 gallon black water tank, and a 6 gallon DSI water heater. 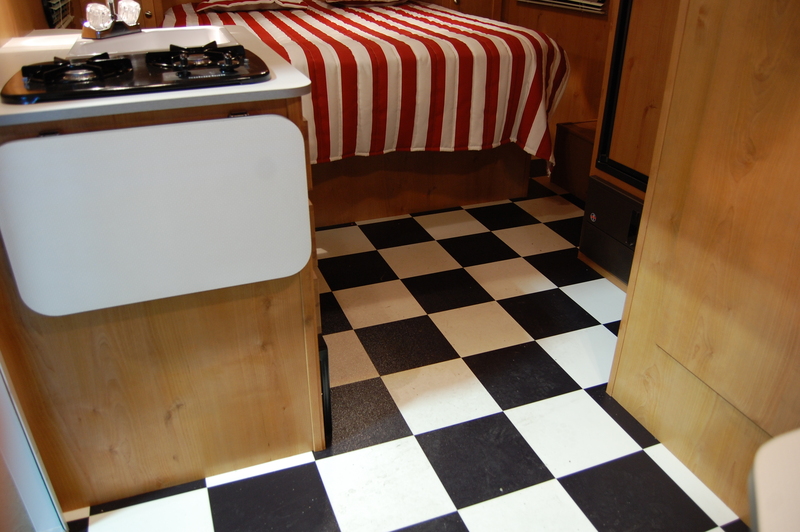 The floor is a stout 5/8″ thick plywood, and is supported by 4 stabilizer jacks. 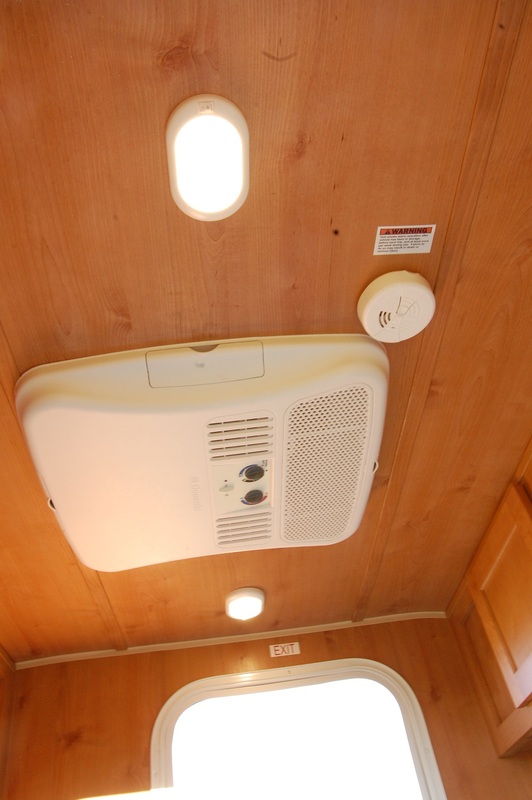 It’s also insulated with Radiant Barrier technology and includes a 16,000 BTU furnace. 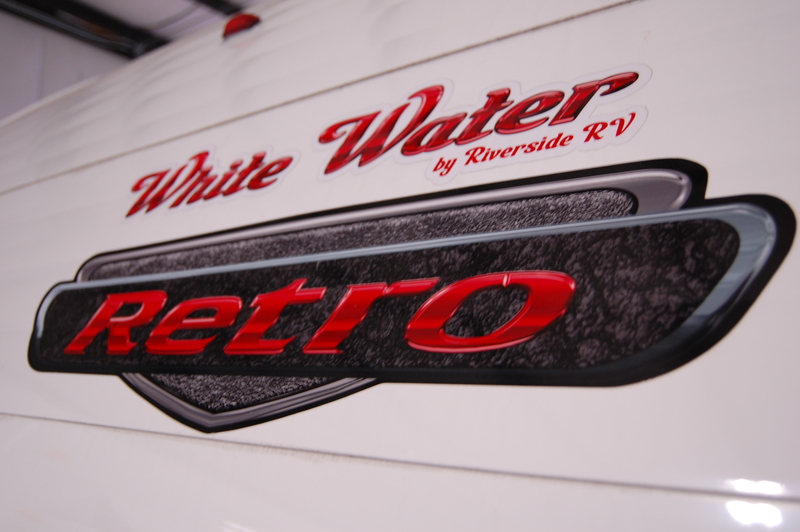 There’s an active Facebook page for White Water Retro owners that I keep tabs on from time to time. 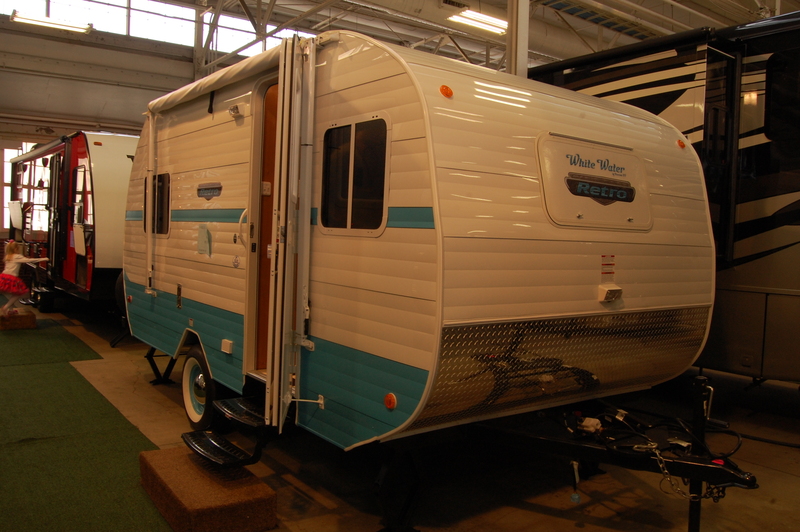 I see very little in regards to any type of major problems with White Water products, and after spending quite a bit of time with this one this past weekend, I’d personally have no hesitation about having it for my next trailer. 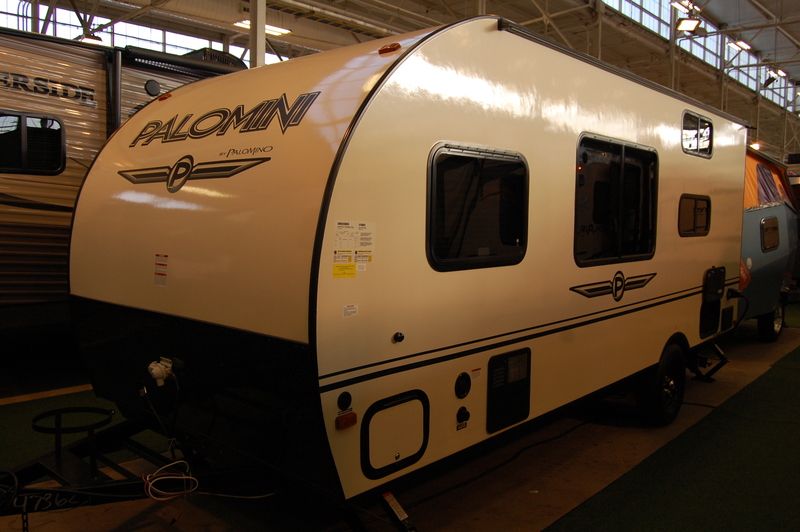 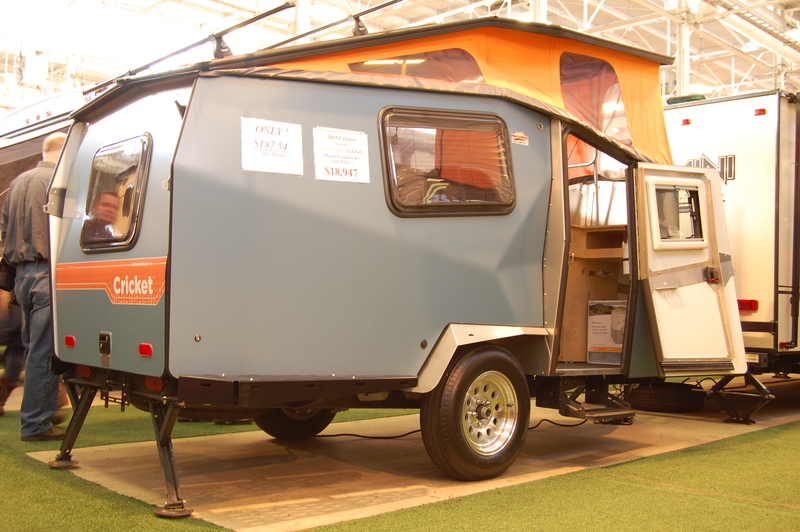 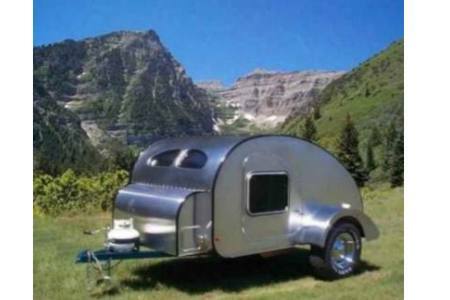 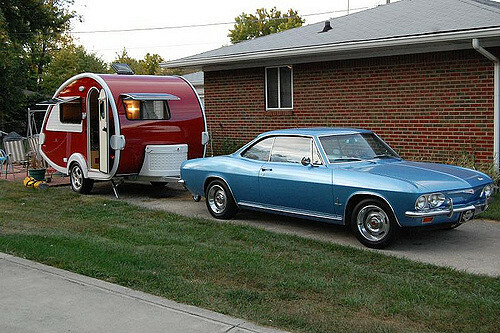 It’s really an ideal camper for two people. 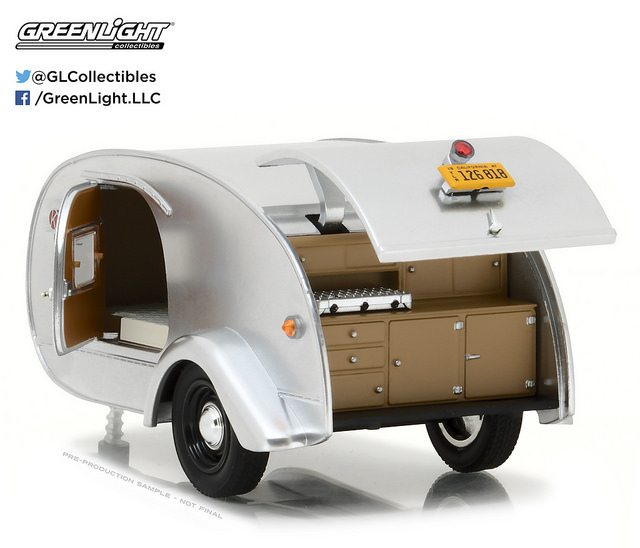 Coming from a Scotty where the bed was perpendicular to the length of the trailer, it left that unavoidable task of having to climb over my wife at night when I needed to use the bathroom. 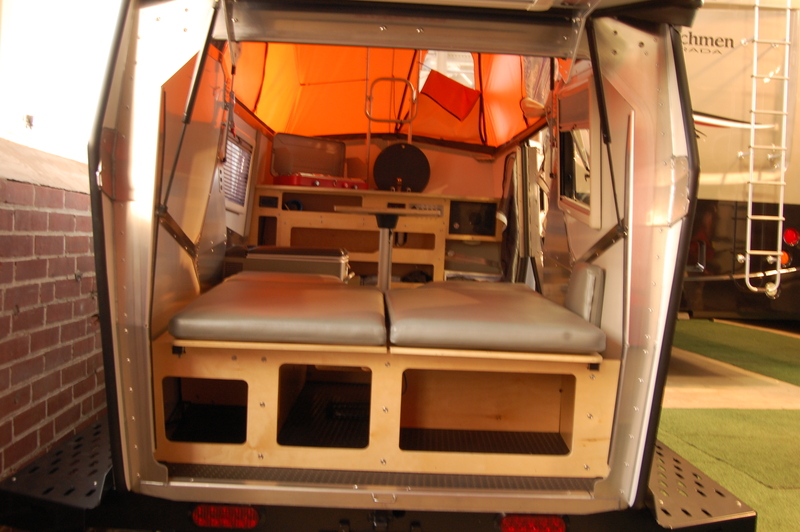 The island bed completely eliminates that and makes for a comfortable arrangement. 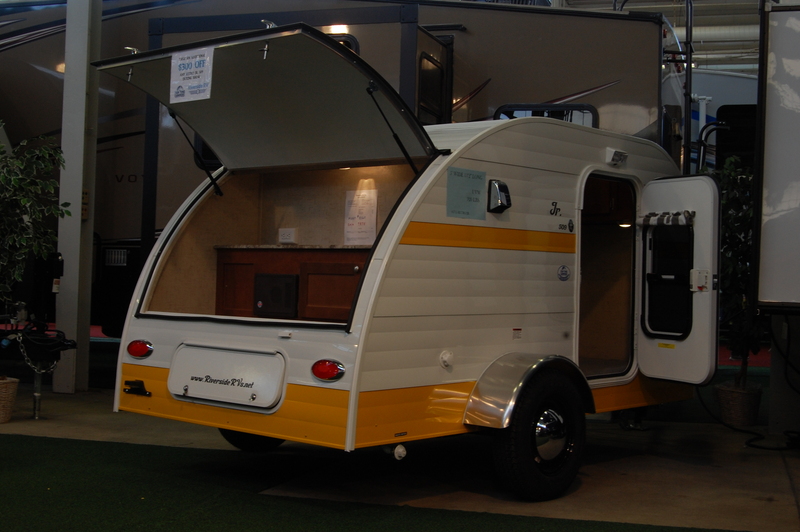 Often times I get asked where a reproduction Serro Scotty HiLander can be found, but since they’re no longer in production, I often point those folks to the White Water Retro 177. 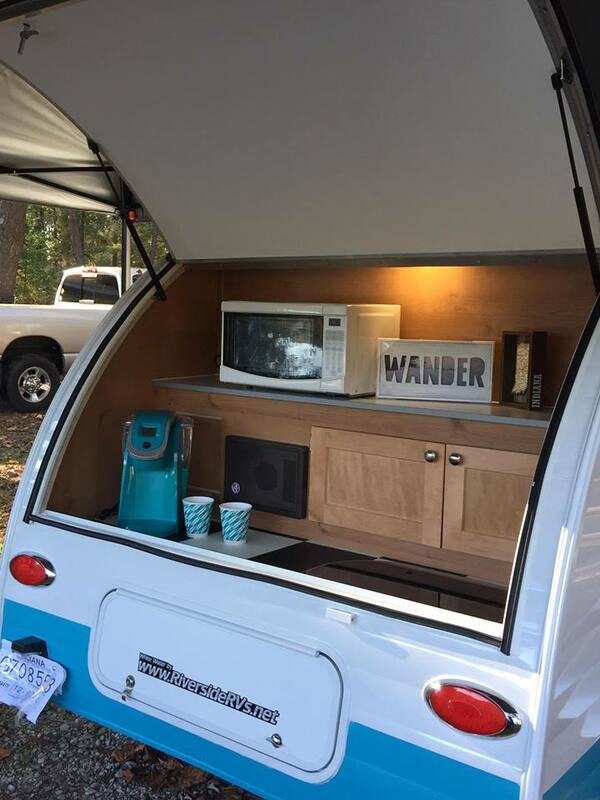 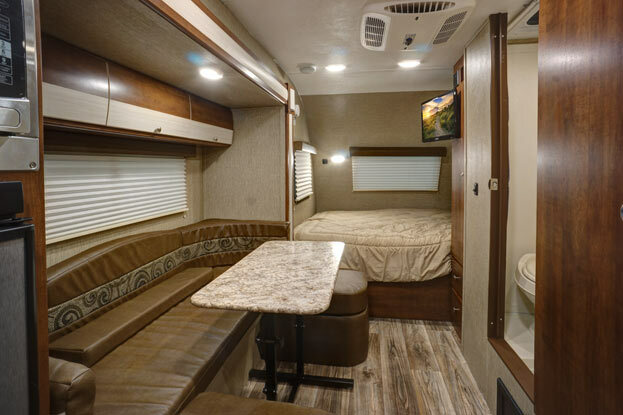 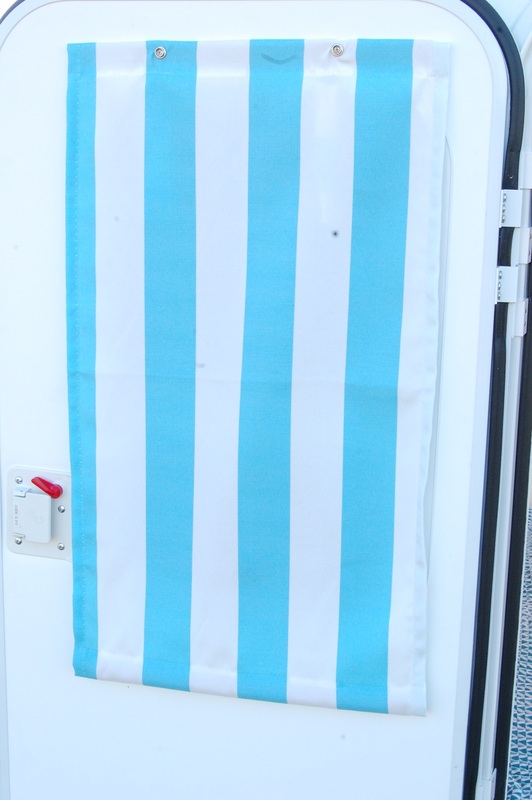 Especially if you go with the turquoise on white, it gives you the same color scheme as the Scotty, with a similar floor plan, but with a bit more length and overall comfort. 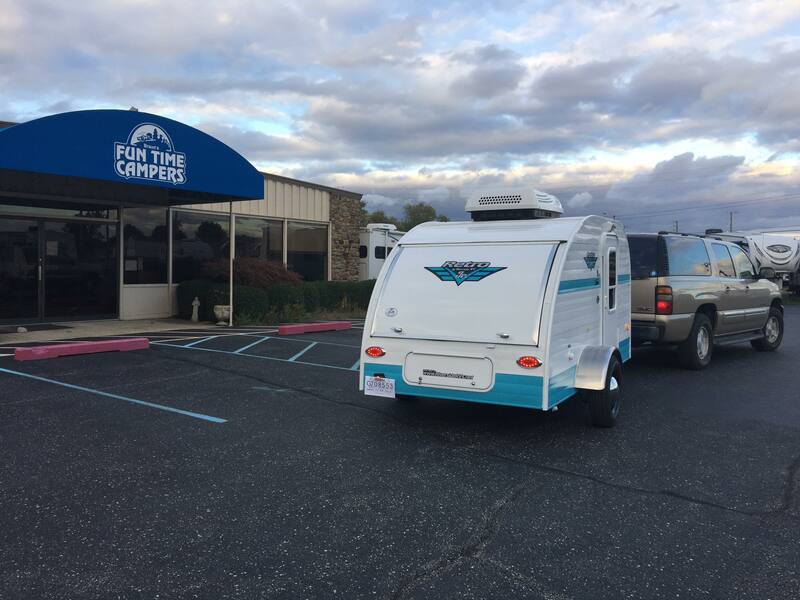 Special thanks to Matt and Austin Braun at Braun’s Fun Time Campers for the chance to give the 177SE a look at their northeastside Indianapolis dealership. 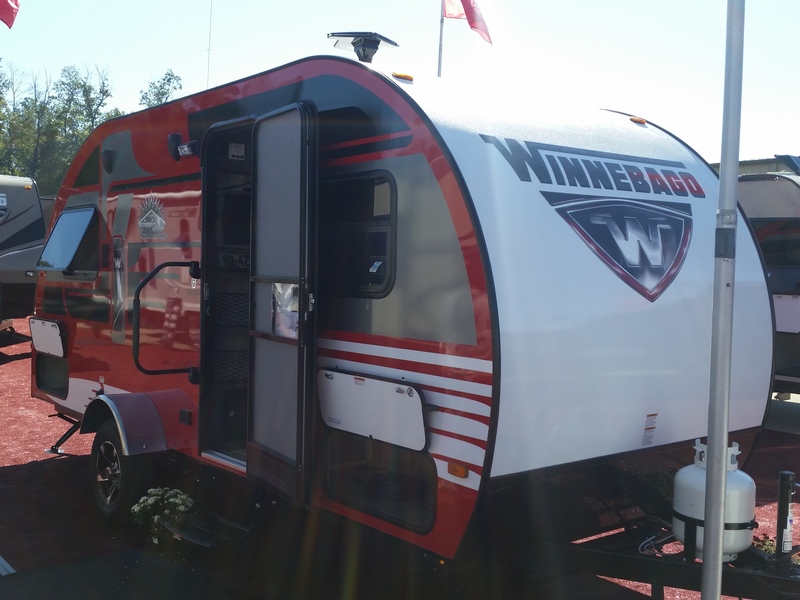 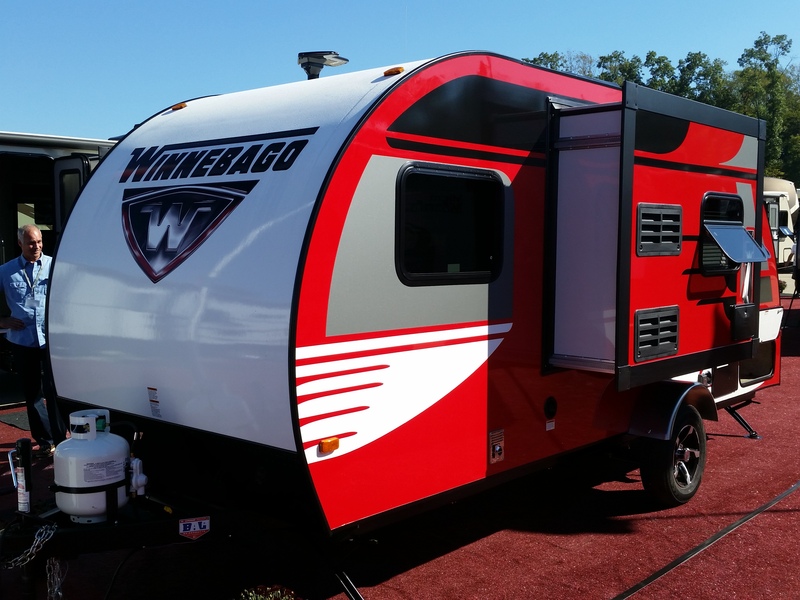 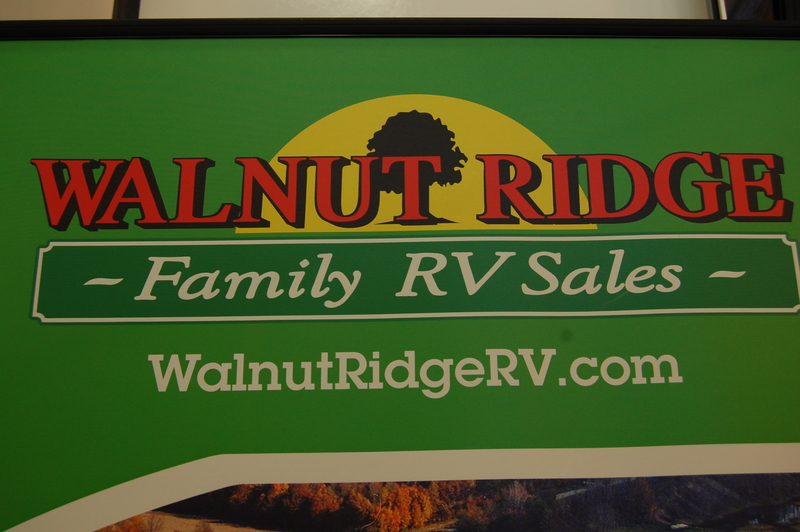 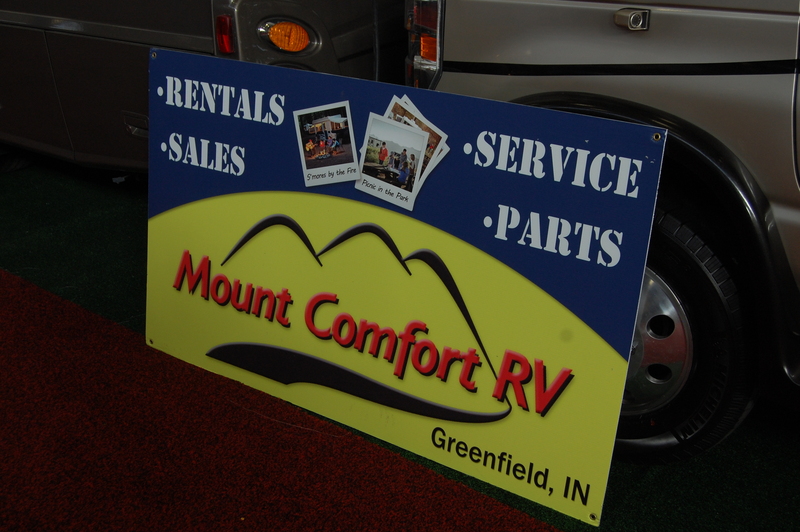 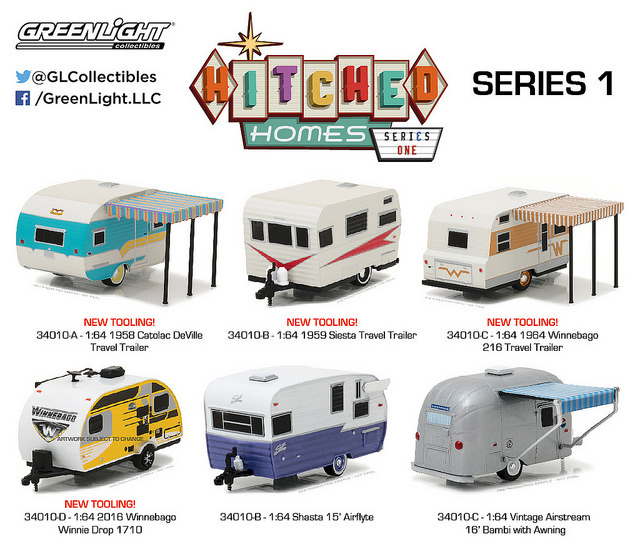 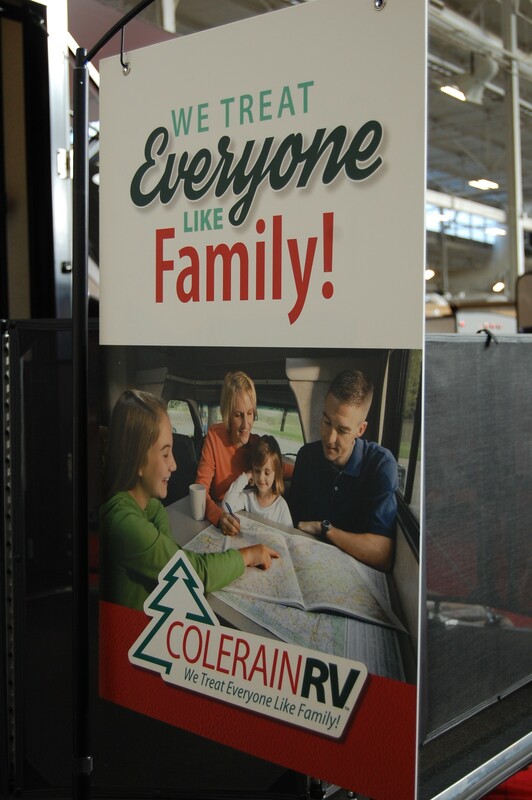 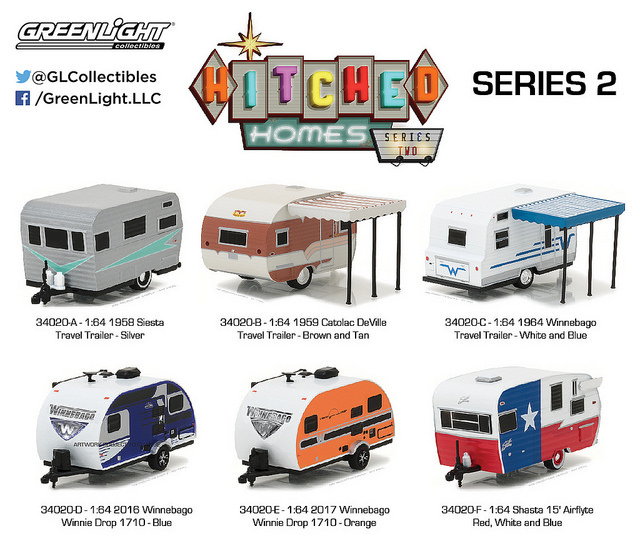 Matt’s been in the RV industry for nearly 40 years and he told me the White Water products are excellent, quality built products that haven’t come back for any type of serious issues since he first started carrying them in 2013. 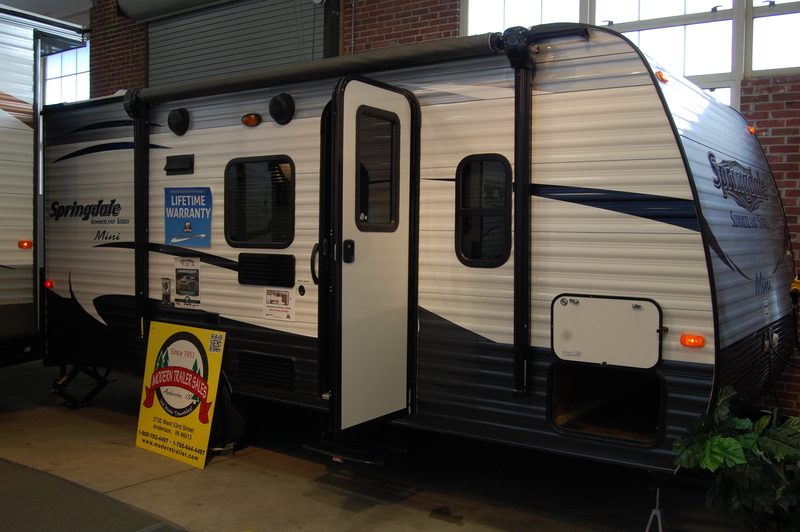 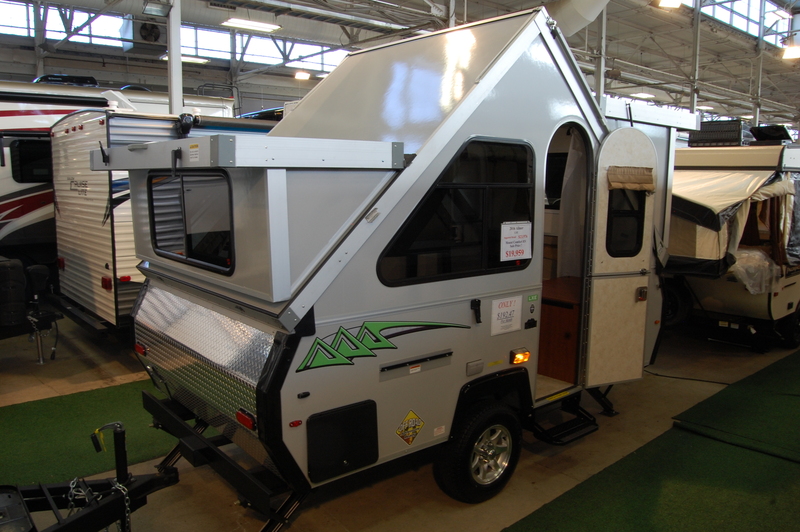 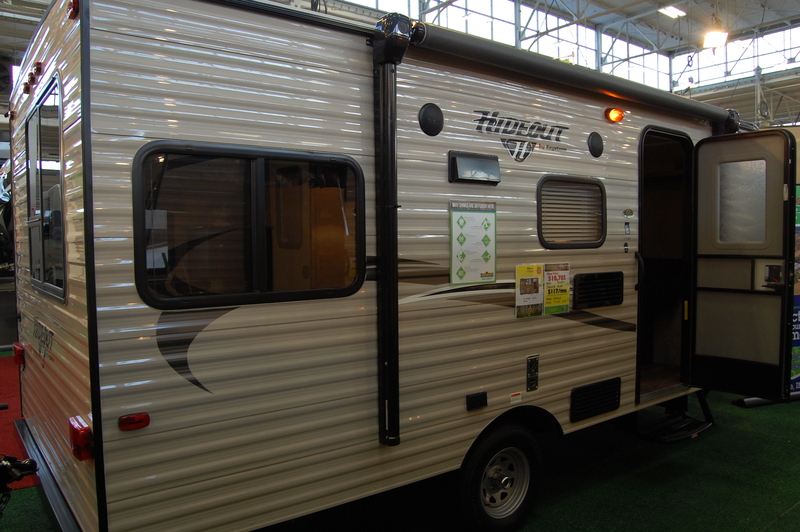 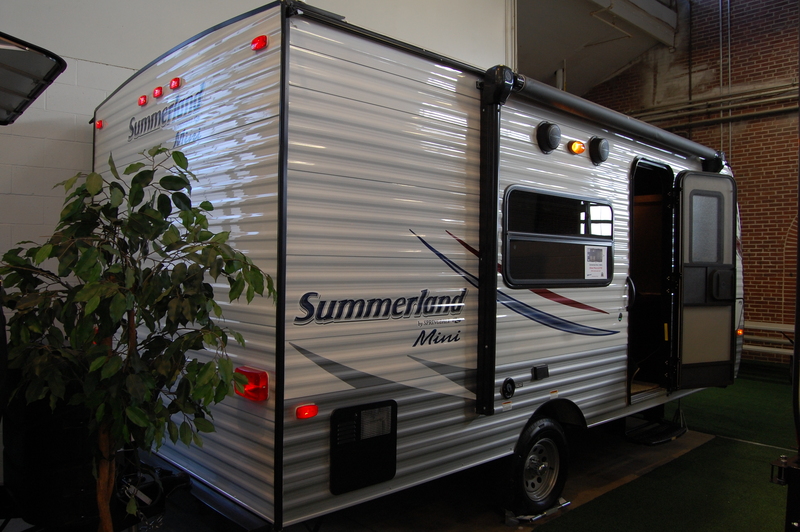 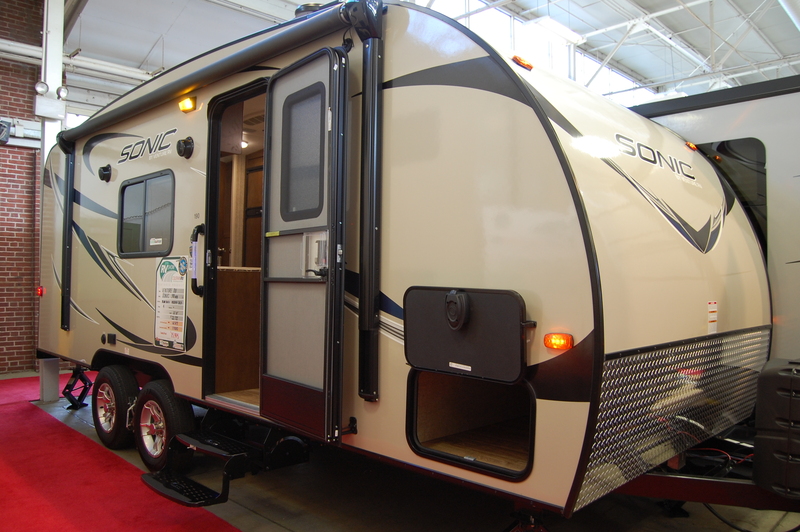 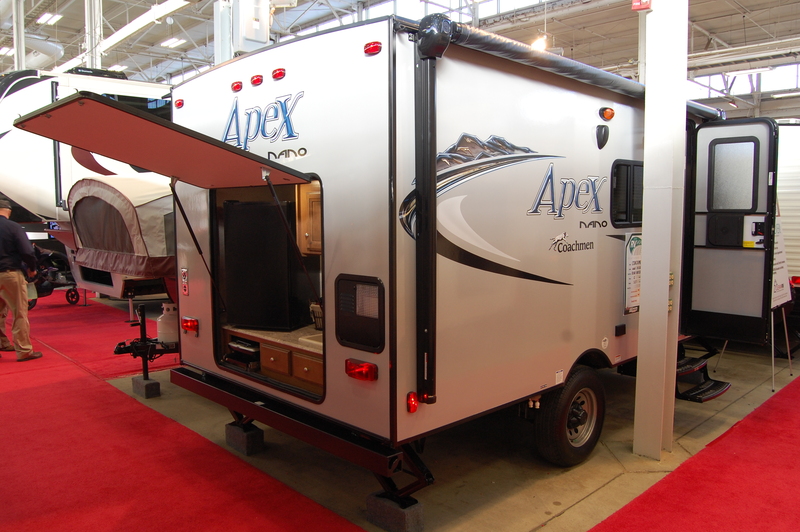 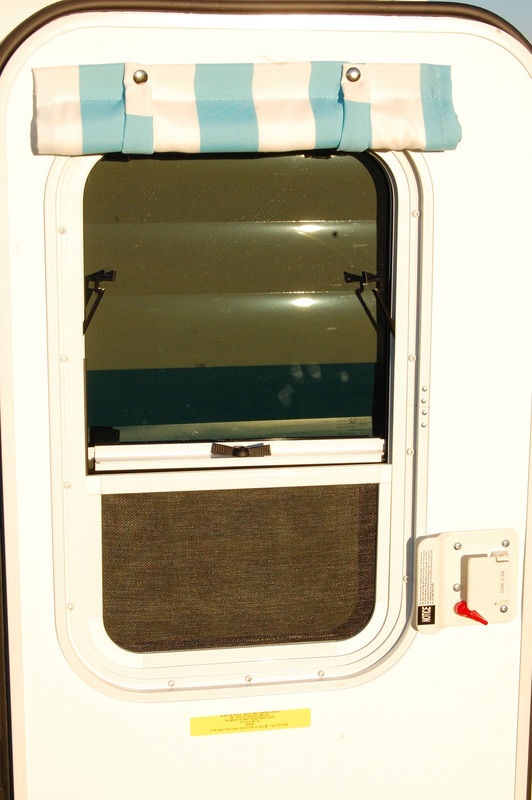 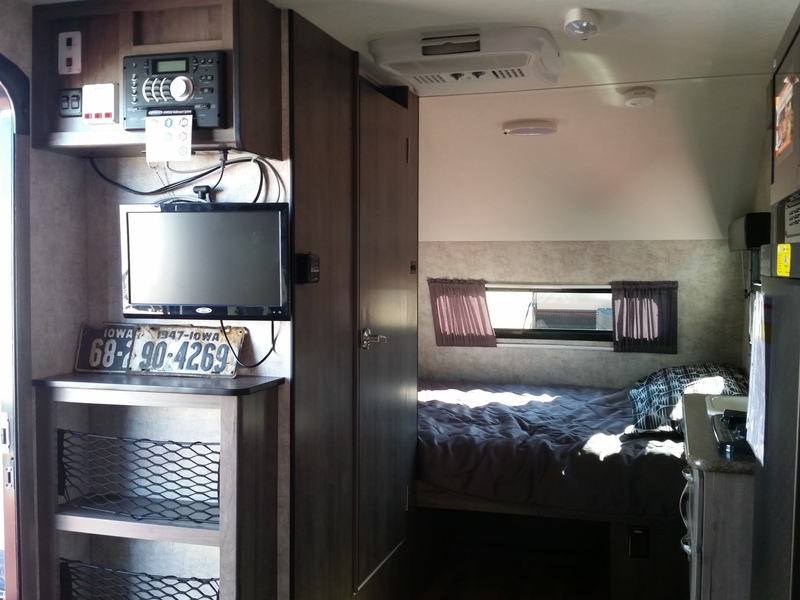 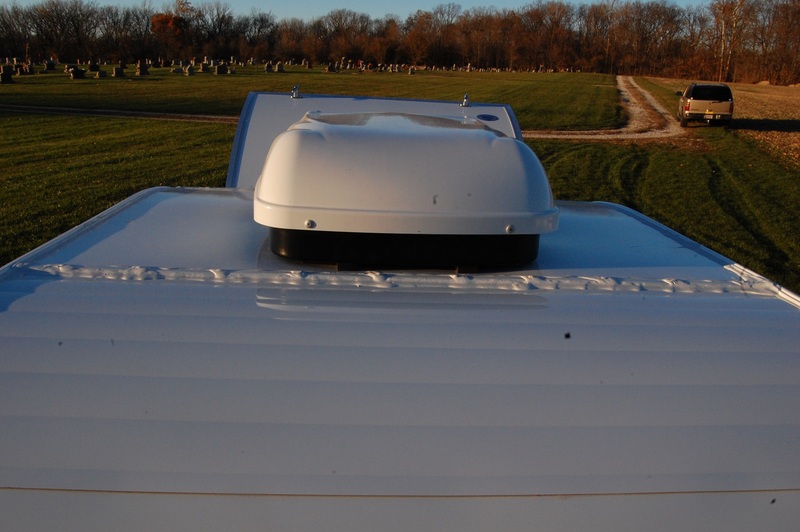 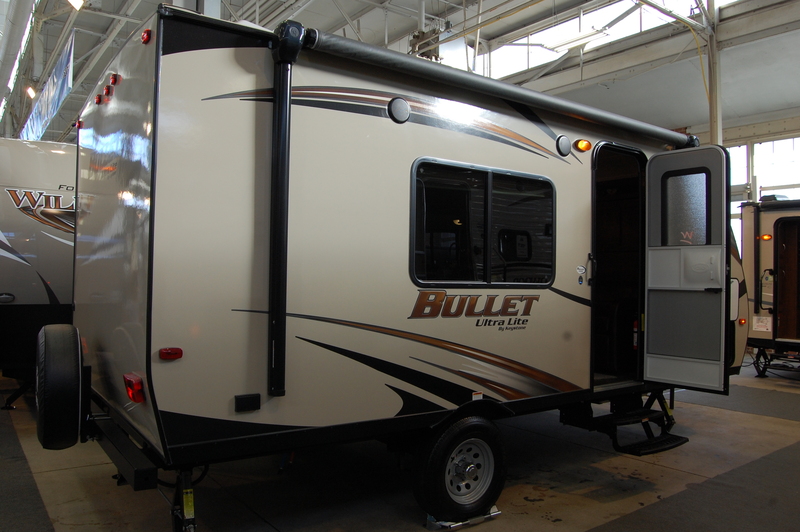 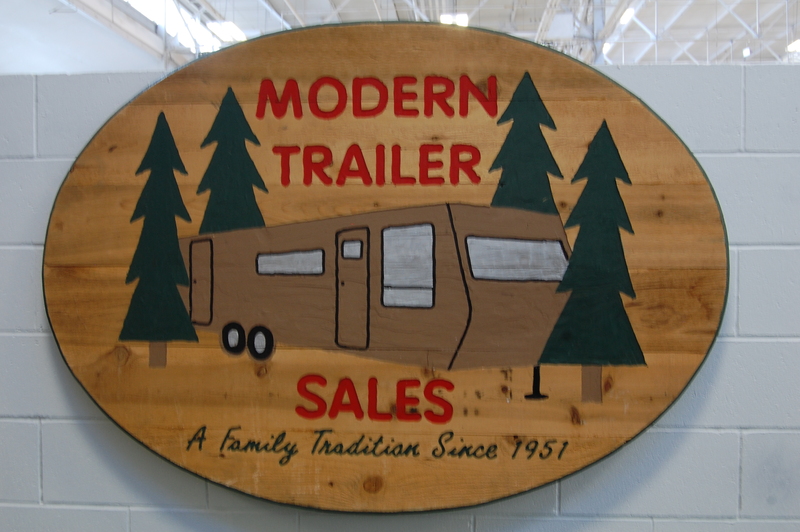 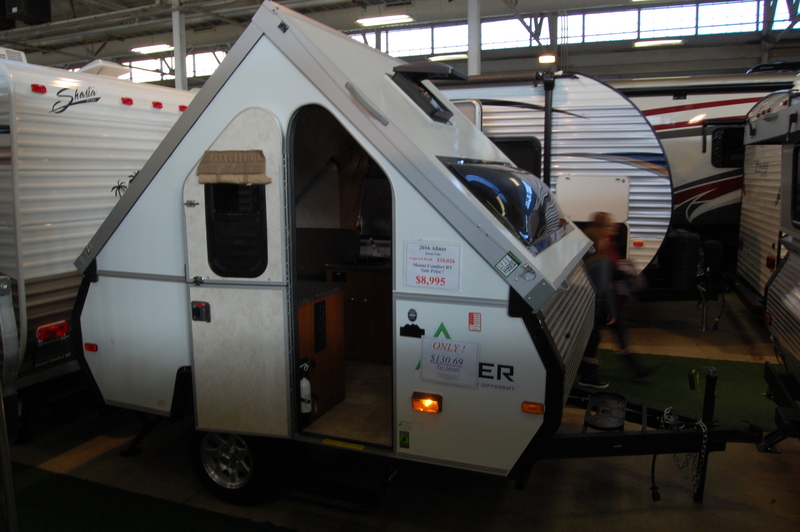 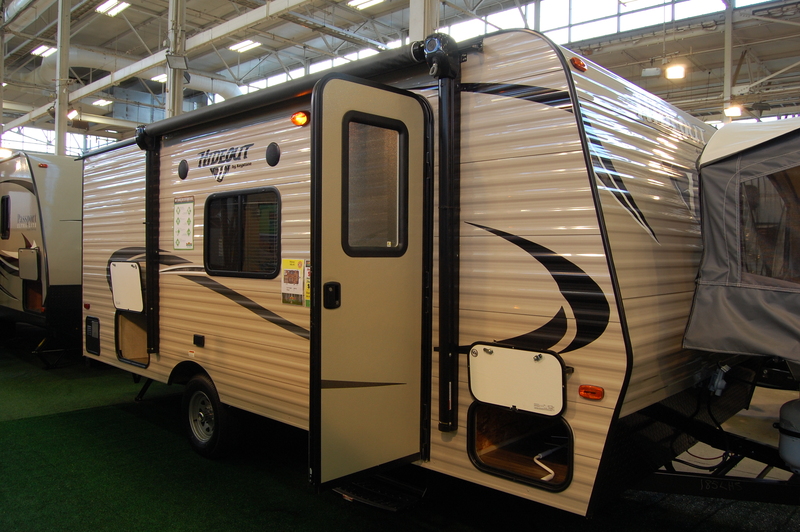 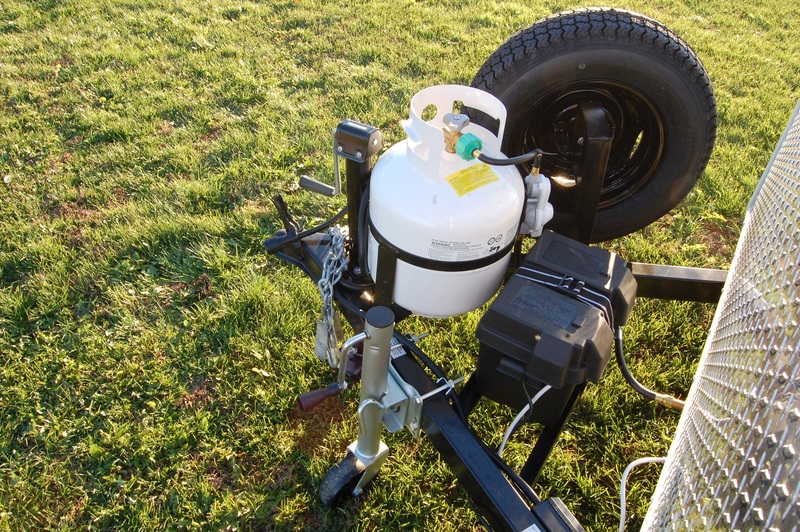 For more info on the 177SE and other White Water products, check out the Riverside RVs website at http://riversidervs.net. 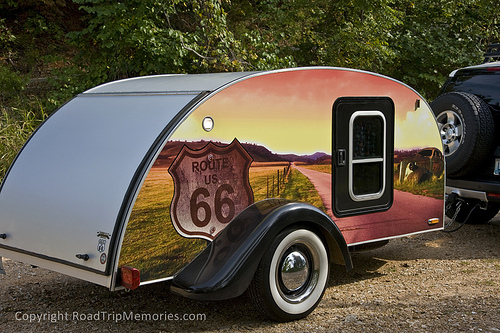 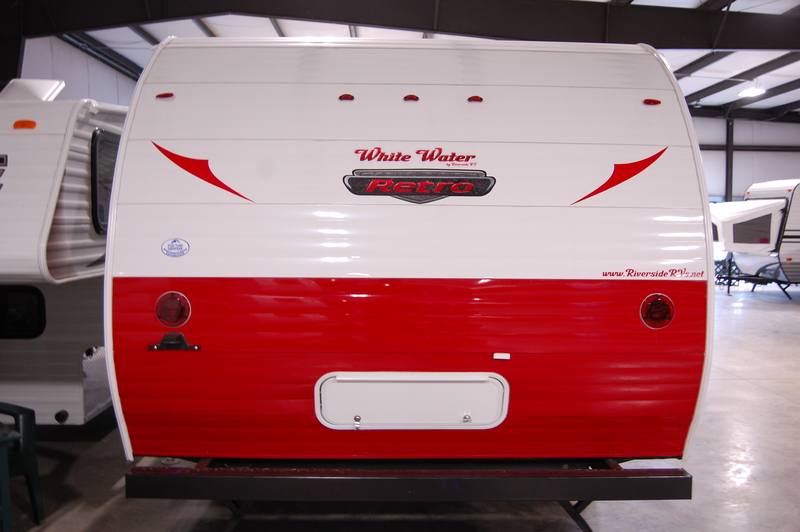 To join other White Water Retro owners on Facebook, join the White Water Retro Trailer Owners page by clicking here.